Tony Nominated actor Tom Hollander stops by to chat about his critically acclaimed starring role in "Travesties," and the upcoming Freddie Mercury biopic "Bohemian Rhapsody." 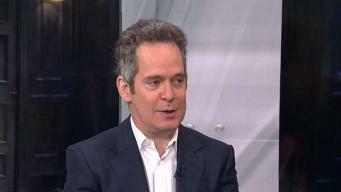 Tony Nominee Tom Hollander On "Travesties"
Joelle Garguilo chats with the stars bringing Jimmy Buffet's classic hits to Broadway, Alison Luff and Paul Alexander Nolan. 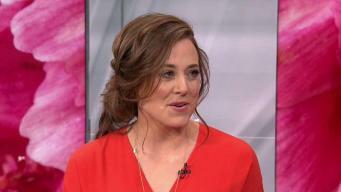 Behind the Scenes: "Escape to Margaritaville"
Tony Winner Jessie Mueller stops by to talk the revival of "Carousel", why she's not on social media and her busy spring. 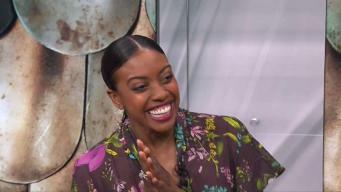 Condola Rashad stops by to talk taking on the legendary role of Joan of Arc in "Saint Joan", Broadway's biggest honor at Sardi's, and this season of "Billions". Condola Rashad On "Saint Joan"
Julie James from SiriusXM stops by to chat about all the surprises from the 2018 Tony Nominations! Joelle Garguilo chats with the cast and creative team of Broadway's latest jukebox musical "Summer." Erika Henningsen stops by to chat about the Broadway musical edition of "Mean Girls," working with Lorne Michaels and whether Lindsay Lohan has made an appearance. Paul Costabile finds out what it takes to be in a boy band with a little help from The Boy Band Project. Katharine McPhee stops by to talk her first week of "Waitress," her viral tweet and more.